On January 4, 1969, Dolly Parton was fresh off the release of her first solo album released on RCA Records Nashville, the now-seminal “Just Because I’m A Woman,” and on that date, the singer-songwriter received the biggest accomplishment of her then-young career: being inducted as a Grand Ole Opry member. Fifty years later, Parton has achieved nearly every honor and accolade an entertainer can receive, and she is cemented as the female Country artist with the most Billboard Top 20 hits according to Guinness World Records. In conjunction with the release of her new album Dumplin’ Original Motion Picture Soundtrack (Dolly Records/RCA Nashville), Parton is set to return to the hallowed stage that was such an important part of her early days in Nashville: the Grand Ole Opry. 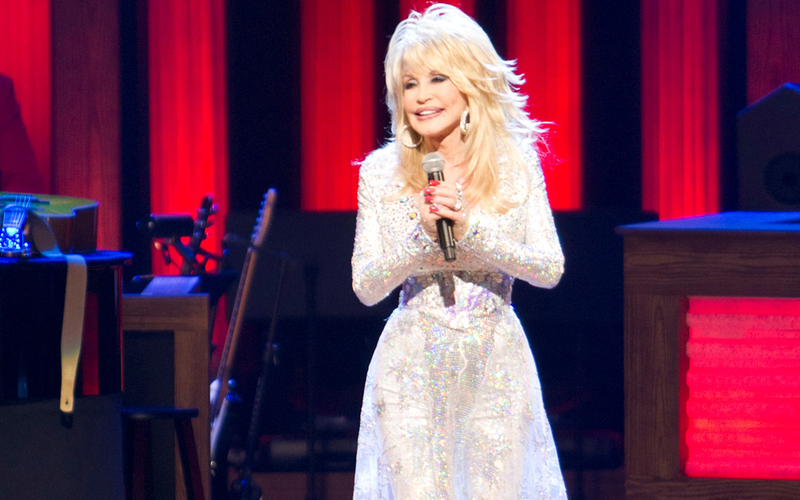 The global superstar will celebrate the 50th anniversary of her Opry membership, performing on Saturday, October 12, 2019, and capping a week-long celebration of Parton’s impact on music and the Opry, dubbed Dolly Week 2019. And Parton has made it everywhere. As a worldwide icon, she is arguably country music’s greatest global ambassador – and she has taken the Opry and the memories from those early days in her career with her wherever she goes. Because of her impact across all forms of music, it is only fitting that the Grand Ole Opry create programming for Dolly Week 2019 that acknowledges her broad influence. Dolly Parton’s 50th Grand Ole Opry Anniversary Celebration featuring Dolly Parton and many more. Participating artists for this special series of Opry shows will be announced in the coming months. Tickets are on sale now for Dolly Week 2019. Both performances on Oct. 12, 2019, are Sold Out. The Grand Ole Opry® is presented by Humana®. Opry performances are held every Friday and Saturday of the year, with Tuesday night shows through December 11. To plan an Opry visit, call (800) SEE-OPRY or visit opry.com. The Opry presents the best in country music live every week from Nashville, Tenn. Celebrating nine decades of entertainment, the Opry can be heard at opry.com and wsmonline.com, Opry and WSM mobile apps, SiriusXM Satellite Radio, and its flagship home, 650 AM-WSM. The Grand Ole Opry is owned by Ryman Hospitality Properties (NYSE: RHP). For more information, visit opry.com.